These are tough times right now at the TCE. Our cat Delbert passed away yesterday. Even though we have two other cats, the house seems empty without him. So today I wanted to post a picture of Timothy with a cat. 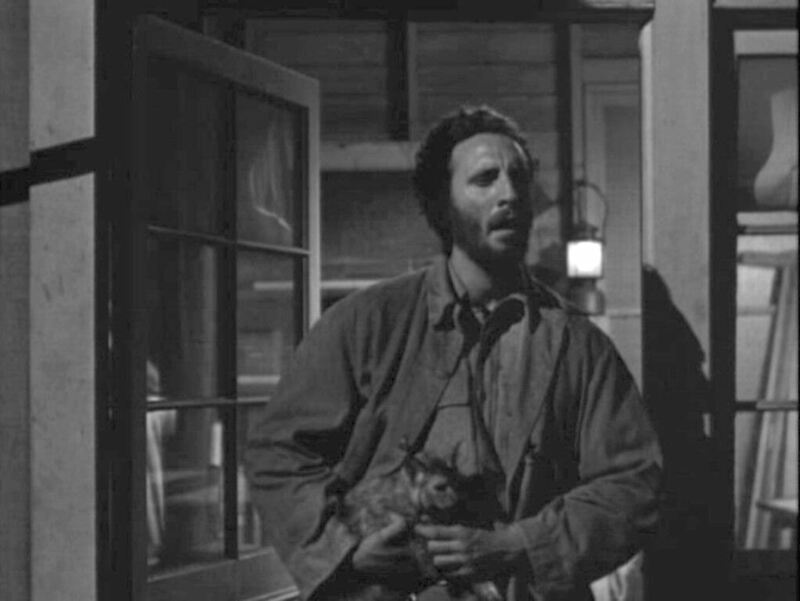 Here he is in Alaska Seas (1954) as marine repairman Wycoff, investigating strange noises and holding his cat. He later goes back inside and starts singing to the cat. It’s pretty cute. Give your fur kids extra love today, folks. They’re only on loan to us. 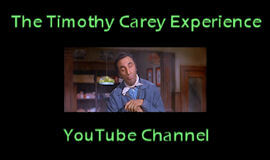 This entry was posted in Current Affairs, Film and tagged alaska seas, passings, timothy carey. Bookmark the permalink.